John is a partner with friend and former colleague, Alan Nelson, in the Business Owners Board (BOB). This is a group mentoring program providing business owners with a board of advisors, one on one coaching and opportunities to learn from experts. John became a registered Business Broker after learning what it takes to successfully sell a business by selling his own training and development business in 2006. As well as business broking through the firm Business Sales & Advisory ( http://www.bsawa.com.au/ ) John coaches and advises business owners how to exit their business with equity in the shortest possible time and with the least stress. He does this in business owner groups like Business Owners Board, one on one coaching and through seminars and workshops. Early in his career, John took a global path in the computer and information technology industry with roles in engineering, customer service, sales and management. John lived and worked in The Netherlands on contract to the European Space Agency, spent time in Cape Canaveral U.S.A., lived in West Germany and emigrated to Australia with Burroughs Computers (now Unisys) in 1986. John started his own training and development business in January 1997 as a licensee for Leadership Management Australia (LMA) and sold it in 2006. Clients included; The TOLL Group, Western Power, Optus World, The Capricorn Society, Boom Logistics, Onesteel, Salmat, Austim, Mitchell Corporation, PumpNSeal and many small and medium sized businesses. John has been a high achiever in sales, customer service and management. John has had extensive experience with the needs of small and medium businesses through his long time involvement with business associations and business incubators. John is a past president of the Stirling and Wanneroo Business Associations and currently a board member at the Malaga and Districts Business Association. For seven years, John was Chairman of the group responsible for building and starting up the very successful business incubator known as the Stirling Regional Business Centre in Balcatta, Western Australia. John is an Associate Fellow of the Australian Institute of Management and a graduate of the National Speakers Association - Professional Speakers Academy. 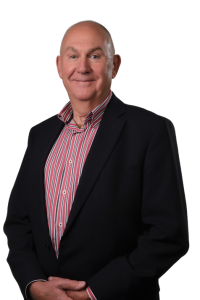 John’s extensive involvement with small and medium businesses in Perth since 1994 means he is ideally credentialed in his role as a Business Coach, Business Broker and Business Owners Board chair.